When it comes to searching for real estate, we usually begin with surfing the internet, studying different websites and only then turn to an agency. Real estate agencies are widely represented online, and some of them go one step further and create their own mobile apps. What does mobility in real estate look like? It is often a responsive website or a constantly updated listing of the property. However, the mobility in real estate is much more. If real estate agencies use the full potential of mobile devices more actively, the number of customers and closed deals can increase significantly. It’s important for real estate agencies to increase the number of requests and maintain a high level of communication. Mobile apps can be very helpful in this case. 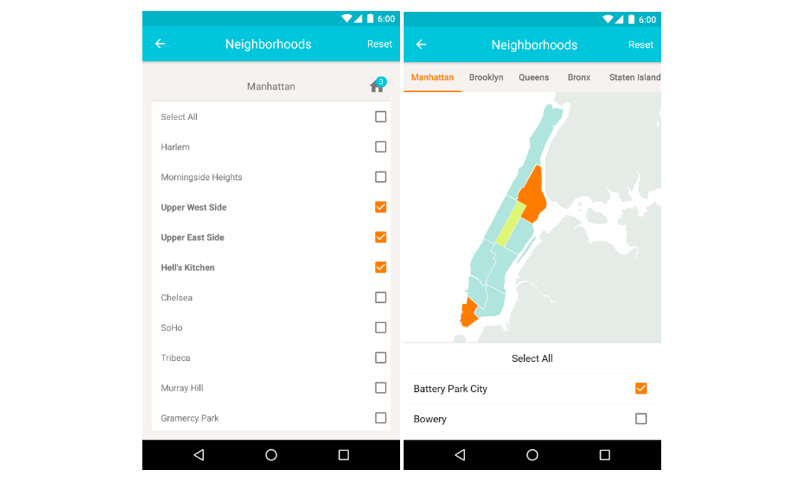 For example, StreetEasy, a popular app for renting an apartment in New York includes the ability to send messages to agent emails directly from the app. This function is usually implemented via regular HTTP requests. Although sending emails is convenient, it’s not always reasonable in real estate apps. The live chat works more effectively, especially if using an in-app messenger. For starters, many users already use messenger services in their daily lives. Second, this feature speeds up the communication process and improves the probability of a deal. Homesnap proves that work in real time has many advantages. Since 2008 this app is one of the most popular on the US real estate market. Using Homesnap users can get detailed data about any property simply by uploading a photo or filling out the address into the app. Live chat feature fully complies with the main idea of the app – to give users information here and now. Another way of in-app communication is sending messages to users via a chatbot. 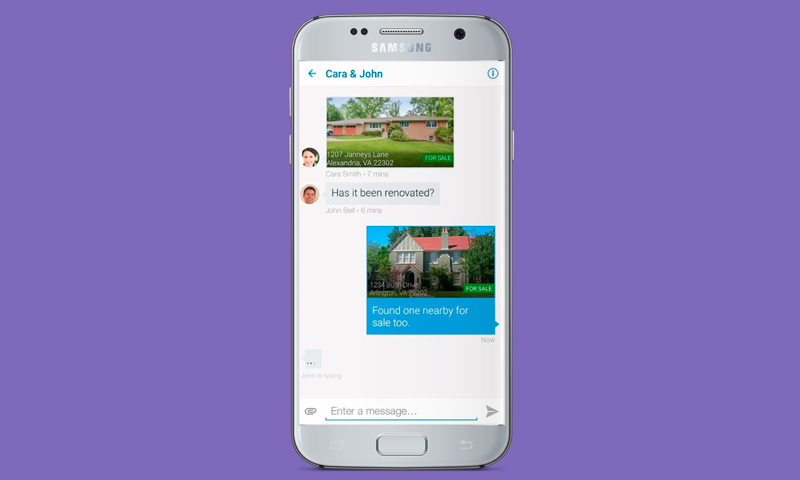 It sends automatically generated messages to users with answers to a FAQ. Although in this case, users don’t have a personal contact with agents, they can review the general information. Thanks to chatbots customers can get an answer immediately while agents have time for preparing a detailed offer and after that can have a talk with the customer. The choice of various tools for communication with agents within the app. An additional communication channel. As a result, the speed of answers grows and the number of refuses decreases. Sometimes customers want to view a home they like when they are in the nearby area. In order to avoid a long wait from the call to an appointment, it’s possible to ensure a showing-on-demand feature within an app. The technology is similar to how Uber operates. 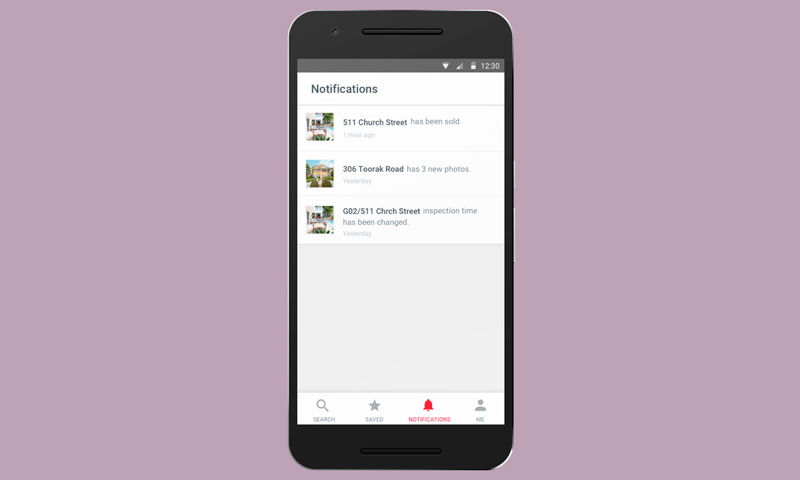 Users send their request to visit a property using the app. Then with geolocation feature, they get the data about real estate agents ready to show the apartment as soon as possible. This idea lies behind an app for renting in New York – Naked Apartments. Showing on demand allows renters to quickly get inside an apartment they are interested in. The speed of access to property becomes a decision-making factor especially in populated cities with a high level of competition among candidates for rent. A high speed of access to the property they like. An effective way to attract the target audience. It increases the motivation of agents in closing the deal. Searching for an appropriate real estate unit, customers often want to look at several properties in one area. 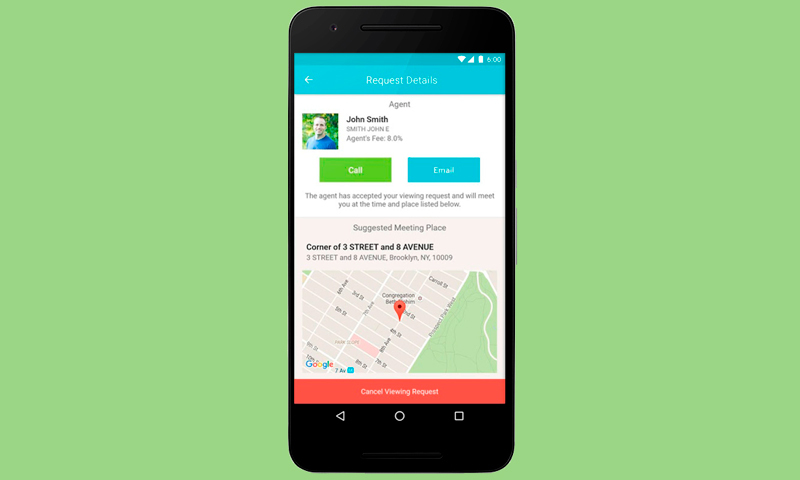 An app can help users to plan appointments with available agents and to save time significantly. This feature can be implemented via a “tour” button next to the name of every agent who operates in a selected area. Users can book an appointment at the most convenient time by simply clicking on the preferred property in the app listing. Naked Apartments uses this function in their app. When users choose one of the properties, a list of available agents opens up for them. 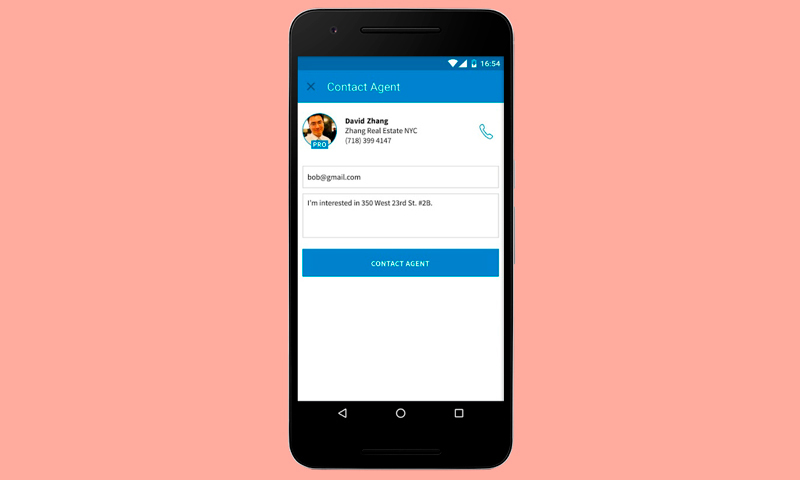 If one of the agents receives a request, it means that he/she agrees to meet at given time. An opportunity to plan home tours at a convenient time. A focus on the target audience and the opportunity to plan appointments for available properties. Push notifications are widespread in mobile apps due to their simplicity and ability to not overload the memory of smartphones. Mobile apps of real estate agencies can also successfully use this function. For example, when you don’t want users to scroll through endless listings of properties, it is possible to add a function to mark chosen homes and get updates on them every day. An Australian company Realestate.com.au implemented a similar feature when launching the distribution of push notifications to their app users. Notifications are tallied up daily at 6 pm. Therefore, app users can check their favorite properties at the end of the day and look at possible changes to their requests. An opportunity to keep a finger on their favorite properties. An additional way to retain customers. QR code scanning can also be incorporated on sales brochures or “for sale” banners near a property of your real estate agency. When an interested customer likes any home, all they need to do is scan the code to extract more information about the property. The QR code scanning feature can be incorporated into a real estate app. In the case when prospective customers don’t use the app, they can be directed to the agency website after QR code recognition via any of mobile scanners. For efficiency, a property description includes not only detailed real estate characteristics but also an agent's contact details. Getting a detailed description of their favorite property without independent data search. Advertising of agency services. Attracting the target audience. The ability to have a virtual tour helps distinguish an app among competitors. Real estate agents can easily take photos and videos of real estate and then prepare a virtual tour of interiors, exteriors and the neighborhood. Using these tours, customers can get acquainted with interesting apartments before even visiting the property and choose the ones that meet their preferences. 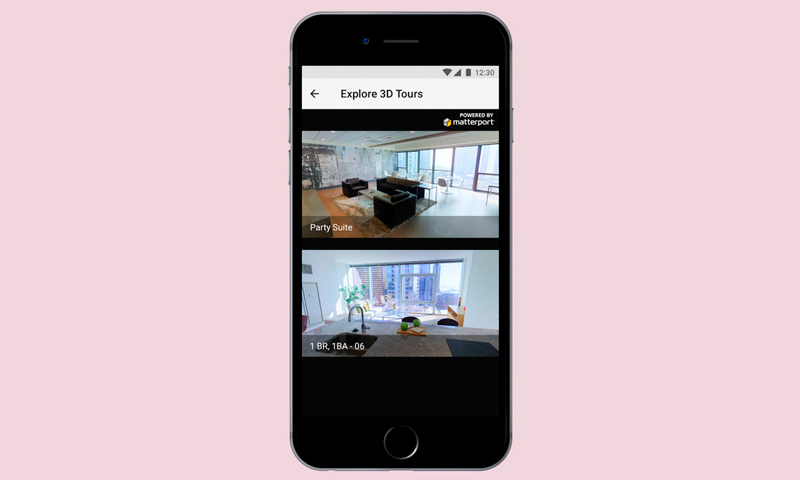 For example, the Apartments.com real estate app offers virtual tours to users. The app includes detailed information for all the properties with the opportunity to view a 3D walkthrough and have real-time communication with agents. An opportunity to explore a property and evaluate its characteristics before visiting. Additional presentation of the property. The ability to work with the most interested clients. The real estate market remains highly competitive. And market players still need effective ways for the promotion of their services. When a real estate app serves not as a mobile-friendly website but as a fully-featured tool for increasing customer engagement, both agents and users gain from it.